See, hear, and speak to someone at your door whether you're home or away. Most burglaries occur when people aren’t home. Burglars may ring doorbells or peer in windows to verify no one is home before breaking in. 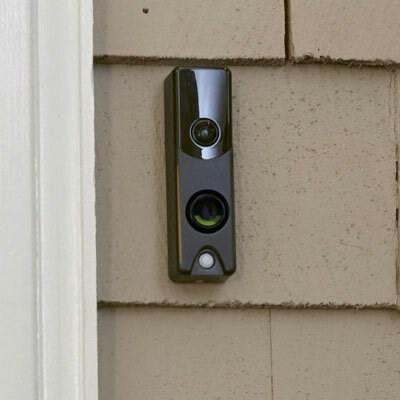 Receive alerts from your inTouch Doorbell Camera any time there’s activity at the front of your home. Then ask the person to leave with the push of a button. Waiting for a package? Know when the delivery person arrives, unlock the door and ask them to leave the package inside - all from your mobile device, no matter where you are. Unwanted visitors? Avoid interruptions from solicitors during family dinner by responding to the doorbell from your smartphone. HD Camera with Night Vision up to 15 feet. Even at night, get a clear 180 degree view. Built-in 2-way audio. Hear and speak to visitors at the door. Seamless integration with Touchscreen Doorlock. Record motion-triggered videos. Download or watch when it's convenient. Works with any standard mechanical or digital doorbells, in any climate. 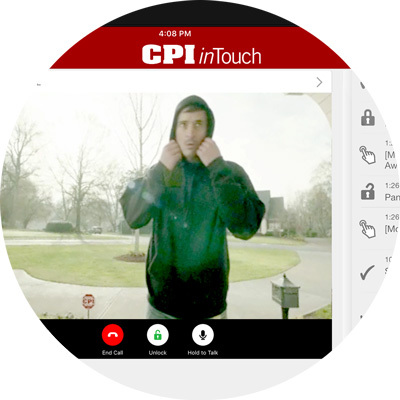 Control the entire interaction from wherever you are - provide instructions for where to leave a package or unlock the front door for a family member. Home Internet required for inTouch HD Doorbell Camera with a minimum upload speed of 2 Mbps. Customer must have a current working hardwired doorbell. inTouch Wi-Fi Doorbell uses existing wiring and doorbell for power and chime. Wireless doorbells are not supported. 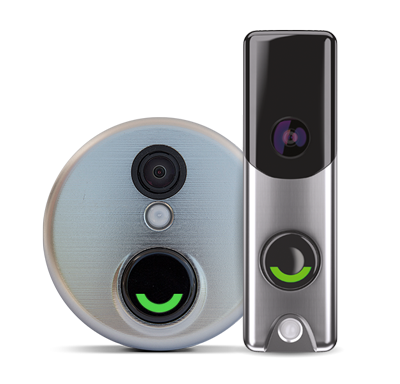 Compatible with most standard mechanical and digital doorbells. Optional Keyless Door Lock required to unlock the door. 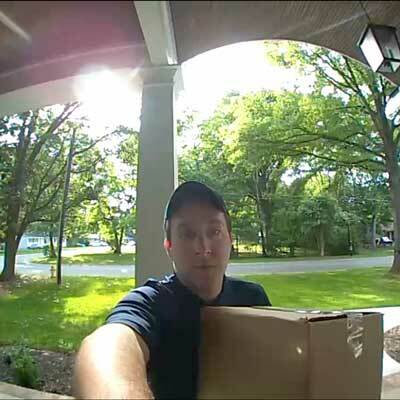 Must have a clear space of 1.4 inches to mount the Doorbell Camera. To check your upload speed, please visit cpisecurity.com/speedtest.